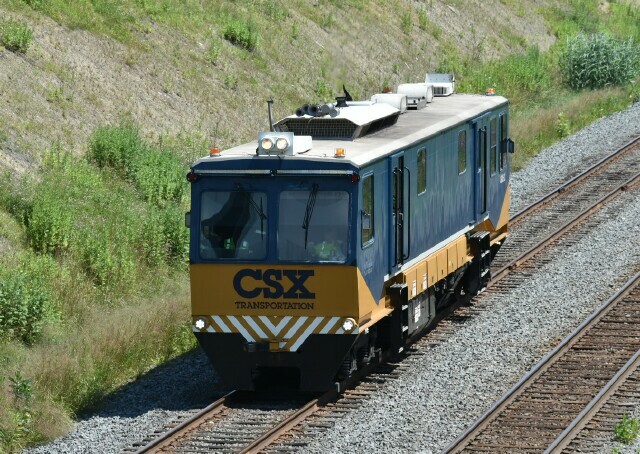 When the CSX dispatchers refer to a "geometry train" on their railroad, sometimes they are talking about a real train, as in an engine and specially modified passenger cars, (similar to those on Norfolk Southern and Conrail), other times it is a Sperry car (now almost exclusively high rail trucks but previously one of their doodlebugs), but every once in a while it is one of their two geometry cars. 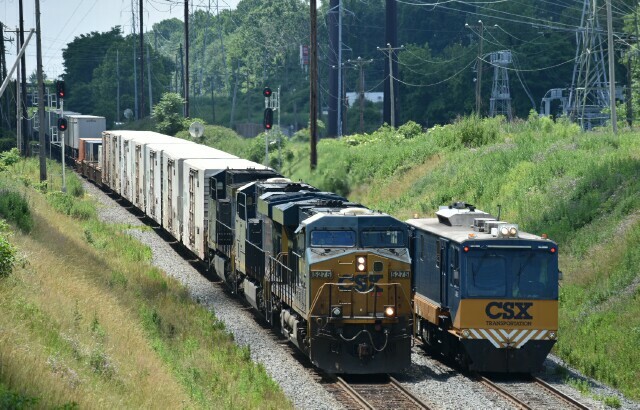 On this day is is CSX GMS-2. and it takes a back seat, as everything does, to the hot UPS train, CSX Q032, now with Tropicana Orange Juice cars up front on most days. 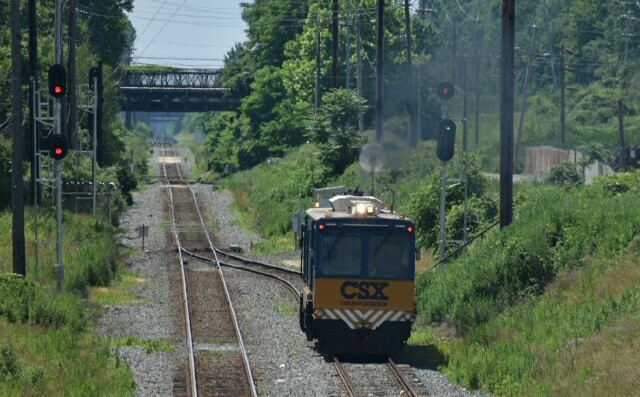 a green signal, a plume of diesel exhaust and GMS-2 continues its trek west at CP Berry.